What did Europe owe Spain in the eighteenth century? This infamous question, posed by Nicolas Masson de Morvilliers in the Encyclopédie méthodique, caused an international uproar at the height of the Enlightenment. His polemical article ‘Espagne’, with its tabloid-like prose, resonated with a French-reading public that blamed the Spanish Empire for France’s eroding economy. Spain was outraged, and responded by publishing its own translation-rebuttal, the article ‘España’ penned by Julián de Velasco for the Spanish Encyclopedia metódica. 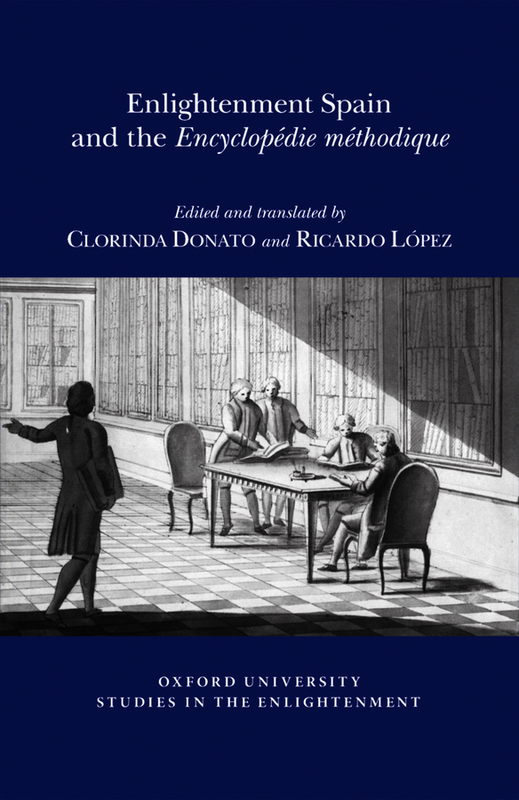 In this volume, the original French and Spanish articles are presented in facing-page English translations, allowing readers to examine the content and rhetorical maneuvers of Masson’s challenge and Velasco’s riposte. This comparative format, along with the editors’ critical introduction, extensive annotations, and an accompanying bibliographical essay, reveals how knowledge was translated and transferred across Europe and the transatlantic world. The two encyclopedia articles bring to life a crucial period of Spanish history, culture and commerce, while offering an alternative framework for understanding the intellectual underpinnings of a Spanish Enlightenment that differed radically from French philosophie. Ultimately, this book uncovers a Spain determined to claim its place in the European Enlightenment and on the geopolitical stage.